Find yourself dancing back and forth in anticipation like a puppy who can’t hold it any more? 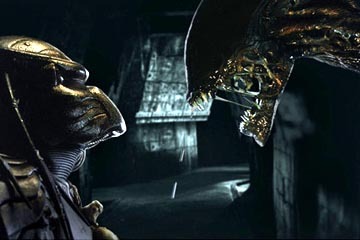 AVP, Alien Vs Predator the movie arrives in theaters in just a week, and we can hardly wait! Check out this fight scene clip – it looks like the battle sequences will be to die for!! too bad yahoo movies use only real and wmv. Safari doesn’t want to play the clips from the pop-up, it keeps looping through the “choose stream” preferences and never plays.